Mr. Gearing’s practice focuses on complex commercial litigation. He has represented clients across industries, including insurance, energy, healthcare, real estate, retail and manufacturing, in a broad range of disputes involving contract disputes, TRO and injunctive relief proceedings, non-competition disputes, employment disputes, health, life, and disability insurance disputes, landlord-tenant disputes, and litigation involving commercial real estate in federal and state courts across the country. Mr. Gearing has also advised clients concerning compliance with various federal statutes, including the Occupational Safety and Health Act (“OSHA”), the Foreign Corrupt Practices Act (“FCPA”), and the Health Insurance Portability and Accountability Act (HIPAA”). 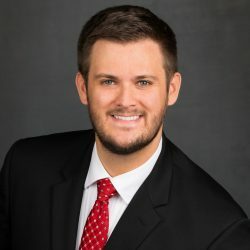 Prior to joining Figari + Davenport, Mr. Gearing served as a law clerk for the Honorable Brian S. Miller in the United States District Court for the Eastern District of Arkansas, where he gained extensive experience analyzing complex litigation cases from initial filing through final trial. Successfully obtained multiple Temporary Restraining Orders and Temporary Injunctions against former employees to prevent them from using clients’ trade secrets, soliciting clients’ customers, and preventing them from working with clients’ major competitors. Successfully obtained a Temporary Restraining Order and Agreed Permanent Injunction to stop the seller and former owner of a business from soliciting the business’ customers to a new competing business, even after the seller agreed not to compete with the business after the sale. Successfully obtained a writ of attachment to secure heavy equipment to pay a debt owed to a client. Successfully obtained summary judgment for a client, a residential home builder, in a commercial lease dispute with its landlord, saving the client over $16 million in rent payments.